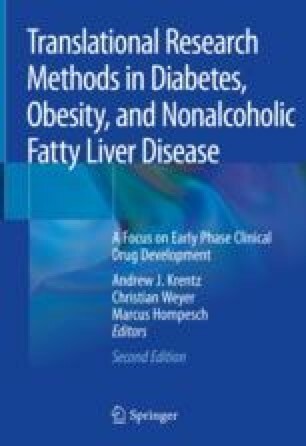 The increasing global prevalence of nonalcoholic fatty liver disease (NAFLD) has prompted efforts to identify affected subjects. In particular, the identification of the presence of nonalcoholic steatohepatitis (NASH) and fibrosis in patients with NAFLD has become a priority. The widely-recognized limitations of liver biopsy as ‘gold standard’ for NASH diagnosis have encouraged the search for non-invasive biomarkers that facilitate risk stratification of patients and the conduction of clinical trials and drug development. In this chapter, we introduce the emerging ‘omics’ approaches in the biomarker research in NAFLD. We have summarized the latest innovations in lipidomics, proteomics and microRNA biomarkers, and described the most common panels of blood-based biomarkers for the diagnosis of different stages of NAFLD, from simple steatosis to NASH with varying degrees of fibrosis. We also review some examples of the application of circulating biomarkers in clinical trial for drug development. This work was supported by NIH grants R01AT001576 (SCL and JMM) and R01DK092407 (SCL), the Agencia Estatal de Investigación of MINECO SAF 2017-88041R (JMM), MINECO-ISCiii PIE14/00031 (JMM), CIBERehd-ISCiii (JMM), Basque Government through the projects Hazitek ZL-2016/00444 and ZL-2017/00018 (PO), Etorgai ER-2015/00015 (CA), Plan de Promoción de la Innovación 2015 – Diputación Foral de Bizkaia, 6/12/IN/2015/00131 (CA) and Horizon 2020 Framework Program of the European Union (under grant agreement number 777377 for the project LITMUS (PO, JMM and CA)). We thank Spanish Ministry of Economy and Competitiveness MINECO for CIC bioGUNE Severo Ochoa Excellence Accreditation (SEV-2016-0644).